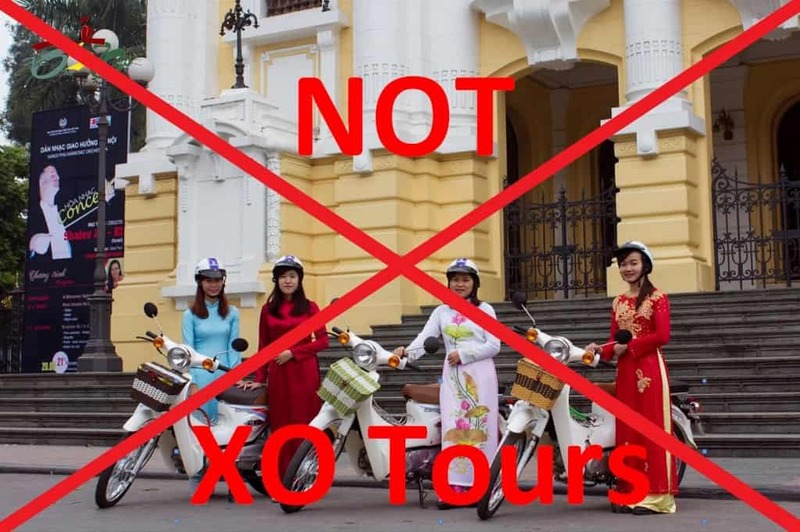 There is not XO Tours in Hanoi! XO Tours does not operate in Hanoi, and it’s unlikely we ever will. So why the misleading blog title? We felt the need to write this blog post to protect our brand, so that when our valued guests search for XO Tours they will know that XO Tours only operates out of Ho Chi Minh City (Saigon) and will not be tricked into booking onto a substandard and unsafe copycat tour in Hanoi or other cities in Vietnam. We’ve always had many tour companies copy our tours, but it’s gotten especially bad in the past year with many new fly by night tour businesses actually stealing our website content, photos, and even our logo. Our website content is copyrighted and we have also trademarked our logo which has allowed us to file lawsuits against many of these tour operators and put many of them out of business. But it seems that for each of these copycat tours we shut down, a new one will pop up. Although we cannot patent the concept of female motorbike tour guides, we do object to companies that blatantly steal our name, logo and website content with the intent to use our hard-earned reputation as a way to make a quick buck. The companies that have been stealing our company name and website content are all poorly run businesses. These companies are also operating illegally and are not safe in our opinion. Instead of working hard to build a sustainable business and brand, they prefer to use deception to trick guests into believing that they are XO Tours. Please tell them that XO Tours recommended you. If you go through Saigon or Hoi An and you want to enjoy an authentic Vietnam tour come to XO Tours!